The big news of the past week was the official close of the merger between Marriott & Starwood hotels which occurred yesterday. Quite impressively, you can already transfer points back and forth between the Starwood and Marriott reward programs at a 1:3 ratio (1 Starpoint equals 3 Marriott Point). 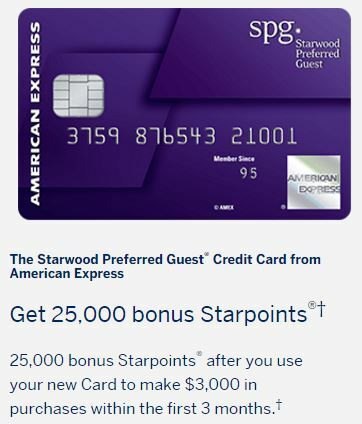 As a result of this new ability to transfer points, this opens up an indirect offer for a Marriott signup bonus that is NOT subject to Chase’s 5/24 rule and that is the 25,000 point signup bonus on both the American Express Starwood personal and business cards. As I blogged about earlier this week, the signup bonus changed on the American Express Starwood cards to two free nights valid at a category 1 to 5 hotel but that offer pales in the comparison to the old standard offer of 25k points as the points offer much more versatility, even more so now with the option to transfer to Marriott at a 1:3 ratio. In order to get the 25k point signup offer, you need to be referred by someone who is a current cardholder. While you don’t need to use my referral links, I’ve included them below (thanks for your support!). 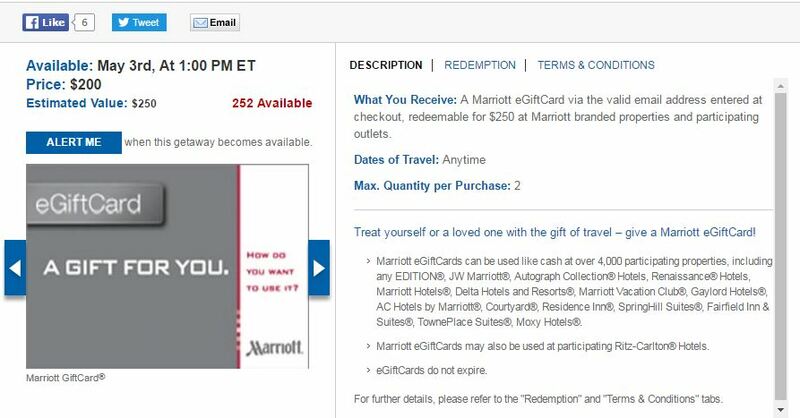 Currently only the personal Marriott personal credit card is subject to 5/24 so you could actually still obtain the business Marriott card which currently has an 80k point offer which is a bit better than this offer. But for those who already have the business version or are unable to apply for one (due to a lack of a business for example), the Starwood card is a great alternative to quickly rack up Marriott points. Of course if you are not subject to 5/24 and you don’t have a business, there is nothing stopping you from picking up a Marriott personal card AND a Starwood personal card so you could double up on the signup bonuses. 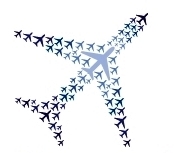 As an aside, there has been a lot of digital ink spilled about the merger, the transfer opportunities and new sweet spot redemptions such as now transferring Starpoints to United at a favorable ratio or using Starpoints for the Southwest Companion pass. There have been many great posts on this but my favorite was Frequent Miler’s take who I think did a great summarizing some of the new opportunities that exist – I highly recommend reading his post. I think highlighting this SPG offer as a way to get around 5/24 on the personal card is pretty noteworthy and while some bloggers mentioned it, I think it got buried with all the other SPG/Marriott news. I have to admit I’m pleasantly surprised by the progress of the merger and how consumer friendly the actions taken thus far are (1:3 ratio, unlimited transfers back & forth between the two programs etc.). I’d imagine this will last until the new rewards program is in place which won’t be till next year and I can only hope the new program combines both the positive elements of the SPG and Marriott programs. 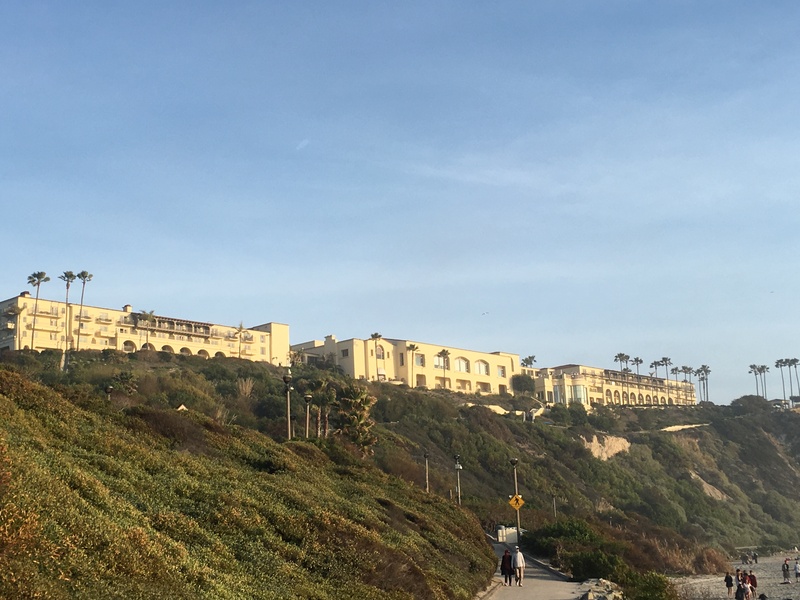 Earlier this year, my wife & I spent the long Presidents Day weekend (which happened to coincide with Valentine’s Day), at the Ritz Carlton Laguna Niguel to escape the cold weather in NY. We could not have timed the trip better – it was record cold in NY that weekend (0 degrees on Long Island) and record highs in Laguna at 82 degrees! It was a fantastic use of 60,000 Marriott Rewards Points per night as room rates were over $700/night for the holiday weekend and I’ll talk about the hotel in a separate post (spoiler alert – we loved it!). It’s no secret I’m not a fan of the Marriott Rewards program as I think among the major hotel programs, Marriott’s hotels are overpriced from a points perspective, lack aspirational properties that I want to stay at (excluding Ritz Carltons), and earning points in this program is not as rewarding as their competitors. 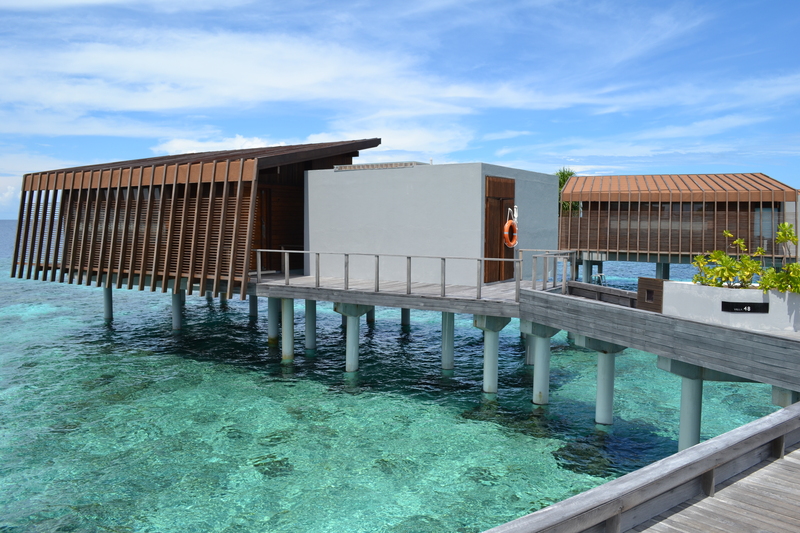 Many run of the mill Courtyards and Marriott hotels price from 30k to 40k points a night but for 25k or 30k points at Hyatt (remember Chase UR transfer to both Hyatt and Marriott at a 1:1 ratio), I’ve stayed at some truly excellent hotels including the Park Hyatt Paris Vendome and Park Hyatt Maldives. Anyway getting back to the point of this post, while checking my points balances a few weeks ago, I noticed I never earned any points for my incidental charges at the Ritz including our Valentine’s Day dinner at Raya in the hotel. 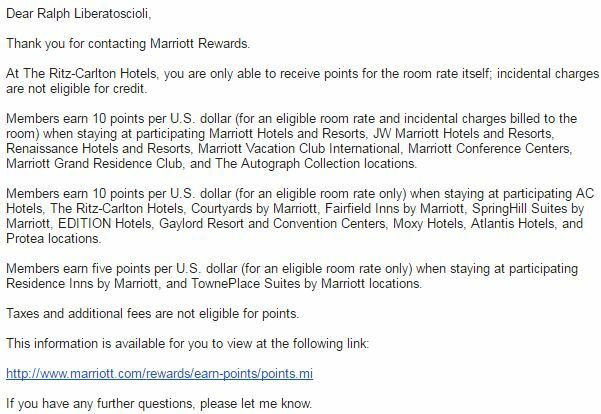 I finally contacted Marriott Rewards to ask about my missing points and was told that incidental charges don’t earn points at Ritz Carlton hotels. That’s right you earn zip, zero, zlich, nada, nil etc. for any incidentals charged to your room not only at just Ritz Carltons but also many other Marriott chains including Courtyard, Fairfield Inns, Edition, SpringHill Suites and several others. To Marriott’s credit, they do make this pretty clear on their website. Truthfully, this was something I should have known about Marriott’s program before going but since I tend to shy away from this program, I didn’t know all the ins and outs of the program. It seems kind of crazy to me that Marriott doesn’t want to incentive their guests, especially ones staying at Ritz Carltons where food/drink options are generally a bit more expensive, to stay on property and earn additional points for spending money at the hotel. It’s not hard to imagine a family of four spending a week at a Ritz Carlton resort spending over $1,000 (probably more) on incidentals but getting nothing to show for it. The policy seems kind of petty to me and is just another reason for me to stay away from this program. The Daily Getaways deals for 2016 are finishing up this week but I wanted to highlight a pretty solid deal today that many will find beneficial. Today’s packages are for Marriott gift cards at 20% off face value so quite simply this is a way to lock yourselves into a 20% savings on any Marriott or Ritz Carlton hotel. Even if you have an upcoming award reservation, this is a way to take 20% off all incidental purchases – food, drinks, spa packages, activities etc. I’m not going to rive into too much analysis on this as it’s quite straightforward (especially compared to some other deals in the Daily Getaways this year). This is simply a way to guarantee a 20% savings on all hotels within the Marriott chain (JW Marriott, EDITION, Autograph Collection, Renaissance, Courtyard are just a few of the chains) and also on participating Ritz Carlton hotels. This may also apply to SPG hotels in the future but I wouldn’t bank on that happening for a while (at least next year at the earliest) until the merger is complete. If you have an upcoming stay at a Marriott family hotel or even a Ritz Carlton, I would strongly consider buying a eGiftCard to lock in a 20% discount. I think its unlikely you will find these at a greater discount elsewhere and even with the increased packages available this year, I bet these will go fast. I’m not a Marriott guy so I’ll be passing on this offer – good luck to everyone going for one! This deal is much more straightforward than buying points and having to figure out the different cost per points depending on the package. This is simply a way to guarantee a 20% savings on all hotels within the Marriott chain (JW Marriott, EDITION, Autograph Collection, Renaissance, Courtyard are just a few of the chains) and also on participating Ritz Carlton hotels. If you have an upcoming stay at a Marriott family hotel or even a Ritz Carlton, I would strongly consider buying a card to lock in a 20% discount. These eGiftcards do not expire and even if you are on an award stay, you can use these cards to pay for incidentals on your final checkout bill. I’m not a Marriott guy so I’ll be passing on this offer – good luck to everyone going for one! There was a TON going on last week in the points & miles but yours truly was dealing with audit deadlines and other work requirements so posts were on the light side last week. With most of that now past me, here is a quick roundup of the big items from last week. 1) Marriott Devalues Twice In One Week – I admit “devalues” might be too harsh a word here but that gives you a sense of what I think about Marriott and their loyalty program. This week they announced their annual hotel category changes that affects over 36% of their hotels with many more hotels increasing a category level (27%) than decreasing a category (only 9%). Of course, they didn’t give us a nice way to sort or look through all the changes – you need to look on this page and search for the hotel you are interested in. You have until March 18th to book awards before the devaluation occurs. This also effects the annual free night from the Marriott Rewards credit card as that can only be booked for a level 1-4 category hotel and you now have less options as more hotels shift out of a level 4 category. I very much prefer the annual free nights from the IHG or Hyatt credit cards. On top of that, they also announced they will begin enforcing their point expiration policy which is that points will expire after two years on inactivity. That’s really not a big deal except they specifically prohibit transfers from external parties such as Chase Ultimate Rewards as a form of qualifying activity to extend the life of the points. Yes, there are still plenty of other ways to extend the life of points but transferring points from flexible rewards currencies to either airlines or hotels is such an easy & quick way to extend the life of points in most cases. The only Marriott points I have are from the Ritz Carlton 140k credit card offer (yes I used my Marriott # and the points were deposited into my Marriott account, not a Ritz Carlton account) so I once I burn these points, along with my wife’s 140k points, on an air and hotel package, I am officially done with Marriott in any capacity. 2) American Express Premier Rewards Gold Card Improved – Last year, American Express eliminated the extra 15,000 point bonus for spending $30,000 or more on the Premier Rewards Gold card in a year but now they have made some improvements designed to make this card more competitive. Each year, cardholders will be entitled to a $100 airline credit that works in the same way the $200 airline credit works on the Platinum card. Additionally, you will now earn 2x points at US restaurants and there are no longer any foreign transaction fees on the card. The downside to these changes? The annual fee is increasing from $175 to $195, though effectively it is $95 if you use the airline credit correctly each year. This card is now more designed to compete with the Chase Sapphire Preferred though I still don’t think this card is a keeper after year one. Side note: If you decided to apply for this card, you might be able to get a 50,000 bonus by clicking through CardMatch or trying this link (https://www304.americanexpress.com/credit-card/premier-rewards-gold/25330) in an incognito browser. DO NOT signup for this card with a 25,000 point bonus despite the claims from other bloggers calling the 25k offer a “no brainer”. 3) 50% Bonus on Spending on US Airways MasterCard – If you have the US Airways credit card (and you should by now since there is maybe a month or so left to get it before it is gone for good), you can earn a 50% bonus on all spending until you’ve hit an extra 10,000 miles. Miles4More has the details but this card is coming out of the safe for a while for me so I can earn 1.5 future AA miles per dollar. This offer is available to all US Airways cardholders so if you don’t see it when you log in to your account online, call or message Barclays to get the offer. 4) Starwood Category Changes – Just like Marriott, Starwood also announced their annual hotel category changes but thankfully they are much more reasonable in scope. About 22% of their hotels are changing categories but there are actually more hotels decreasing a category than increasing, which is a great for SPG members. You can check out the full list here but I find these changes reasonable compared to Marriott’s changes. 5) SPG & Uber Partner Up – More Starwood news includes a new partnership with Uber in which you can earn Starpoints on every Uber ride (in addition to the points you already receive from your credit card on Uber). The one downside – you do not earn any Starpoints until you’ve had at least one stay with Starwood in the calendar year. After that, you earn 1 SPG point per dollar on Uber with additional points for elite members if they use Uber while staying at an SPG hotel. You need to first link your SPG and Uber accounts here before you can earn additional Starpoints on Uber. 6) IHG PointsBreak – Several times a year, IHG announces their PointsBreak hotels in which you can book hotels for only 5,000 points per night. While that is obviously a great value, I’m never excited by this promotion as the hotels are just really random and almost never in places I have an interest in going to. I’m sorry but places like Candlewood Suites Huntsville – Research Park don’t excite me. However, if you do find yourself in these random areas, then do book these awards. 7) Hilton HHonors Double Points or Miles Promotion – Pretty straightforward promotion from Hilton to earn either double Hilton HHonors points or double miles on Hilton stays from now until May 31, 2015. You can register here and I highly recommend choosing double Hilton HHonors points for the stay. As usual with Hilton, there are a ton of non-participating properties, including one I have a planned stay at in the next two months. That said, still register as you never know when you might actually stay in an eligible Hilton Hotel. 8) Save $25 on Virgin America Flights – Virgin America is now the first airline to accept Visa Checkout for payment and as an incentive to get customers to try it out, you can save $25 on your next Virgin America flight. You must book by July 31st to take advantage of this offer. That’s it, enjoy your Sunday!